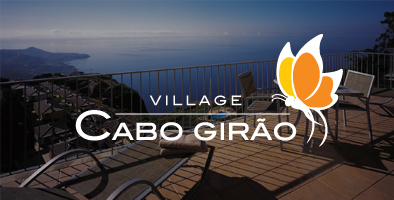 The fully serviced holiday village of Village Cabo Girão is situated atop one of Europe’s highest sea-cliffs, some eight miles from the island’s capital Funchal. With panoramic views across the valley to the capital and out to sea, there’s plenty to enjoy within the beautiful village grounds. Guests can choose from studio, one-bedroom or two-bedroom apartments, as well as two-bedroom, three-bedroom and four-bedroom private villas. All properties offer sea views, making them ideal for sitting and relaxing after a fun day enjoying everything on offer within the village. A free on-site shuttle bus service is also available for those who have mobility difficulties around the site. All the facilities on the resort are free of charge apart from the Spa massages, restaurant/bar facilities and supermarket. Ideal for when the weather is a little cooler than expected! Our heated pool ensures the water is always a perfect temperature and is one of the best places in the resort to begin or end your day. If your villa doesn’t come with its own private pool, you’ll want to make use of this one. As you can see, we have an abundance of pools at Cabo Girão! This one is great for children, as it has its own section designed especially for little ones. The kids will love playing under the water fountain and you can easily keep an eye on them from your sun lounger. There a few better luxuries than your own private pool. Whether you want to get a few laps in before a tasty meal in one of our restaurants, or to let the kids splash around without bothering anyone, a villa with a private pool will make your holiday extra special. All that swimming will work up your appetite! Luckily, The Blue Marlin, our pool bar, serves a selection of light snacks and drinks. Your holiday in the sun wouldn’t be complete without a barbecue, so we host one here every Thursday. Happy hour runs from 5pm – 6pm every day (except Thursday), which is always handy to know! Not only is the food here fabulous and affordable, the view of the Atlantic can’t be beaten! Whether you want to enjoy a romantic evening meal or have lunch out on the balcony with the kids, our friendly staff will ensure that all your needs are catered for. We all know how important it is to be able to check in with other family members, not to mention share all the fun you’re having at Village Cabo Girão! You may even want to get online in order to plan your days out. That’s why we provide free internet access across our site. Not every holidaymaker wants to spend their entire trip next to the pool. If this sounds like you, our tennis courts will help keep you active and healthy throughout your break. Plus, burning a few extra calories on the court means you won’t feel guilty about that extra glass of wine or pudding in the evening! Our short court is ideal for smaller tennis players. Why not use it to teach your kids how to play? Full-size courts can be a little too large for younger players, so our short court means that everyone can get involved. Who knows, it could spark the start of a life-long passion! Not just for older holidaymakers! Bowls is a great sport for children and adults of all ages. When the sunny Madeira weather is at its peak, you might not want to exhaust yourself by running around. Bowls is gentle and calming, but requires precision and concentration. We highly recommend getting the whole family involved for a friendly game. While we don’t have room for a full-size course, you can practice your putting skills on our mini golf course. Face tricky obstacles and pesky slopes all while enjoying the sun and cool sea breeze. We guarantee the kids will love giving it a try too as, just like bowls, crazy golf is a laid-back and fun sport. Kids have a lot of energy to burn off and running around in our play area is bound to do the trick. Kitted out with a see-saw, swings, slides, play house and noughts and crosses game, your little ones will love it. The floor in the play area is sandy, so they’ll be no tears should someone fall over! For most of us, a holiday is a chance to relax and get away from it all. Work off any pent-up stress at our relaxing spa and health club. It’s equipped with a sauna, Jacuzzi, steam room and exercise room, giving you everything you need to truly unwind. Perfect for a rainy day, you’ll find a variety of indoor games in our clubhouse, including table football, bar billiards and pool. This is also where you’ll find the indoor children’s play area, so you can enjoy a game of pool with your biggest child while keeping a firm eye on your smallest! If pool and bar billiards aren’t your thing, then you may prefer our dedicated snooker room. There’s plenty of space for spectators to sit and either cheer you on or heckle your shots, depending on whose side they’re on! It’s a great place to spend an evening or two. You can enjoy all these games in our club room. Ideal for families or for couples who love some friendly competition – it’s the perfect spot to work up an appetite before dinner time! Designed with young children in mind, this indoor play area is ideal for keeping the little ones happy in the evening or during rainy days. There are easels for drawing, a pram to play mummies and daddies with, a pretend kitchen and more. From gifts, to groceries and medicines, you’ll find everything you need at our on-site store. Not everyone wants to eat out every day, especially if they are on a budget, so it will no doubt come in handy. Many of your home comforts are stocked here, so there’s no need to pack the teabags.